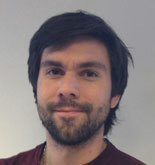 Jonas Paulsen at the Institute for Cancer Genetics and Informatics at Oslo University Hospital is first author on an article recently published in Nucleic Acids Research (NAR, journal impact factor 8.8), entitled A statistical model of ChIA-PET data for accurate detection of chromatin 3D interactions. In their recent paper, the authors have developed a sophisticated statistical model to accurately identify three-dimensional (3D) interactions between distal regulatory elements in the genome, based on ChIA-PET technology. ChIA-PET is a novel method to identify 3D interactions, where physical contacts between regions bound by a specific protein are quantified using next-generation sequencing. Such interactions are vital for the functioning of the regulatory machinery that govern the proliferation and differentiation of cells. DNA inside the nuclei of cells is folded into an intricate 3D structure that influences how and when genes are turned on and off. For example, 3D interactions between distal regulatory elements, such as enhancers and their promoter targets are known to be responsible for regulating a range of genes with cell-type specific functions. A promising application of the presented model, is studies such as genome-wide association studies (GWAS), or genome-scale sequencing projects where the goal is to sort out the DNA variation that underlies complex diseases. The identified mutations in such studies are often found to reside outside regions encoding genes, causing difficulties in determining which genes that are ultimately affected by the mutations, and hampering the identification of good drug targets. Statistical models such as the one presented by Paulsen et al., are a promising step in the right direction for direct identification of the underlying mechanisms that govern complex diseases caused by mutations in distal regulatory elements. The study is a collaborative project involving scientists from the Department of Tumor Biology, the Institute for Cancer Genetics and Informatics, and the Norwegian Computing Center. Senior author on the article is prof. Eivind Hovig, affiliated with both Institute for Cancer Genetics and Informatics and Department of Tumor Biology. A statistical model of ChIA-PET data for accurate detection of chromatin 3D interactions. Paulsen J, Rødland EA, Holden L, Holden M, Hovig E.
Nucleic Acids Res. 2014 Aug 11.